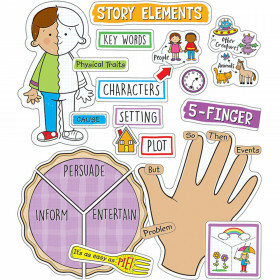 The FUNky Frogs Bulletin Board set will liven up any classroom with playful, energetic characters and colorful accents! 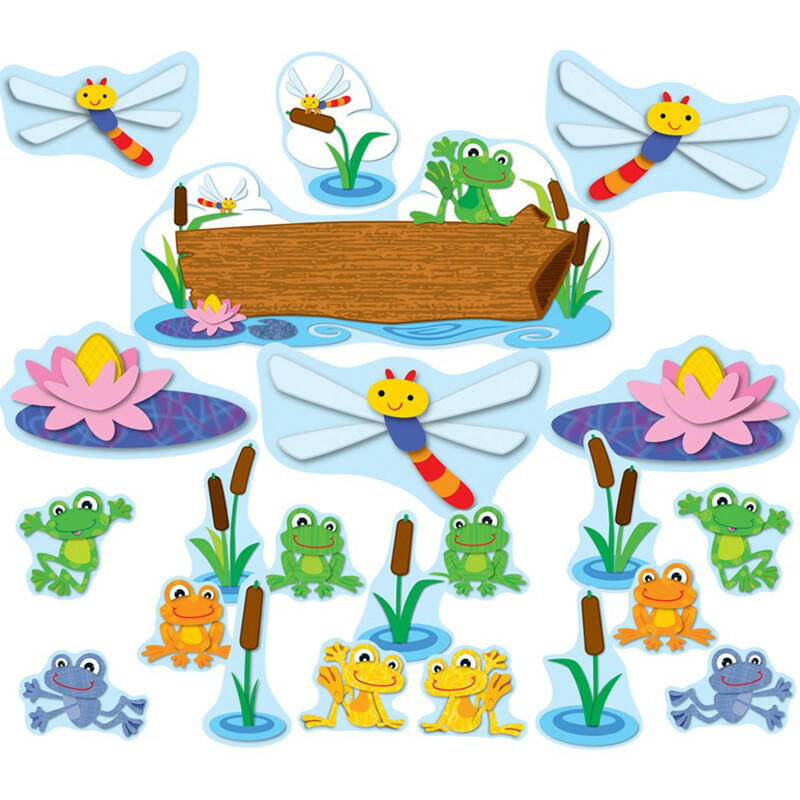 This 47-piece set includes 1 big frog (18¾” x 16¼”), 33 small frogs, 6 cattails (largest 6½” x 8¼”), 4 dragonflies, 1 header and 2 lily pads accents. 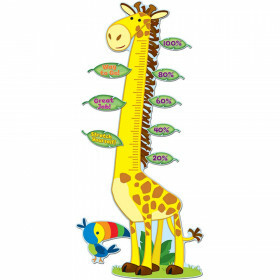 Look for coordinating products in the this design to create an exciting and FUNky classroom theme! Looking for something similar? 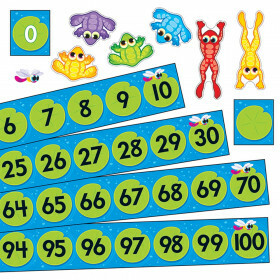 View our Classroom Theme or Bulletin Board Sets sections to find more educational supplies items similar to FUNky Frogs Bulletin Board Set. 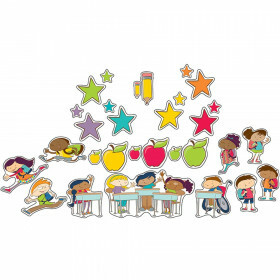 This item may also be listed in our educational supplies store catalog with item IDs CD110207,9781620570524,CDP110207.